Most of Mark’s patients are runners from around the country. The experience of over 25 years has given Mark a great understanding of running issues and the background to them. The key is not just treating the symptoms, but finding and rectifying the cause as well. Mostly the underlying issue will be found far away from the symptomatic area and finding and treating this is what Mark does best. For example, a recurrent Achilles issue being caused by a pelvic problem which in turn is caused by a breathing or rib disorder. Treatment is a process of identifying the stiffness, weakness and poor control elements – usually a combination of all. Stiffness and tightness are treated, fairly robustly, with manual therapy and then targetted exercise to build the strength. Once the baseline length and strength is in place then work to change the gait pattern can begin. Mark has a well-trodden process for this, always tailored to the individual, that has been shown to work over many years. Mark has been lucky enough to build long term relationships with many runners, some over 20 years and worked with them to achieve their dreams and realise their potential. This might be an Olympics or Commonwealth Games place, but equally, it might be a sub-4-hour marathon from a place where they could not jog a step. Mark’s list also includes some rock stars! Mark has enjoyed long term working relationships with a number of top coaches at both Birmingham and Loughborough Universities, helping the young stars of the future through the transition from good junior to world class. However, it is ‘normal’ people that Mark particularly enjoys working with. Not necessarily to athletic stardom. Mark has huge experience in dealing with those difficult to treat, stubborn to diagnose, ‘seen lots of specialists without joy‘ type of patients. Mark’s ability to listen fully and to work through the whole body, rather than the specific areas of symptom has enabled him to help many of these ‘difficult‘ patients over the years. Treating and helping someone with a truly life-changing condition is something that Mark finds as, if not more, rewarding than treating an Olympian. 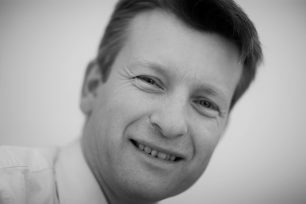 Mark trained in Bath from 1990, specialising in sports physiotherapy with a post-graduate Diploma at the London Hospital. Mark worked for five years at the Arts Educational School in Tring, a leading Dance School, and spent time at the Crystal Palace Athletics Stadium Clinic. This led to work with Northampton Saints and the Great Britain Athletics squad with highlights being the Sydney 2000 and Athens 2004 Olympics. Mark was lead physiotherapist for UK Athletics at the High-Performance Centre at Loughborough and was responsible for setting up the centre’s physiotherapy unit. With the advent of The English Institute of Sport Mark became lead physiotherapist responsible for the clinical aspects of servicing two hundred and fifty elite athletes at Loughborough. Following the Athens, Olympics Mark resigned from this post but still covers as a consultant physiotherapist to the English Institute of Sport. Mark no longer travels with UK Athletics as team Physio due to wanting to see his family grow up! Prior to this, however, Mark completed 14 World and European Cross Country Championships several European Championships, a couple of World Championships and a World Cup. The London Olympics had several athletes that Mark has particularly worked with competing, with several PB’s the result and every major championship usually has someone that Mark is working with. In 1996 Mark began part-time work at Witty and Pask through his friendship with Phil. Following the retirement of Paul Witty in 1999, Mark bought half of the practice and formed a partnership with Phil. Mark lectures widely on sports physiotherapy, particularly on trunk stability and running biomechanics and writes a regular column for Runner’s world and has a slot on BBC Radio Northampton on Helen Blaby’s Expert hour. In 2009 Mark was approached, with Alison Rose, to set up a study by Godolphin, the Dubai and Newmarket-based, horse racing group. This study was to see if assessing and treating elite racehorses with the same attention to detail as elite humans can produce changes in gait and biomechanics leading to improvements in performance and reduction in injury. The recommendations of this study are being implemented. This sort of work is academically challenging but easier on the thumbs! When not working on bodies Mark can be found watching his son play rugby, annoying his daughter and re-building an old Land Rover Defender with his brother. Mark also runs a few pigs, sheep and chickens on the patch of land at home with his wife, Clare.